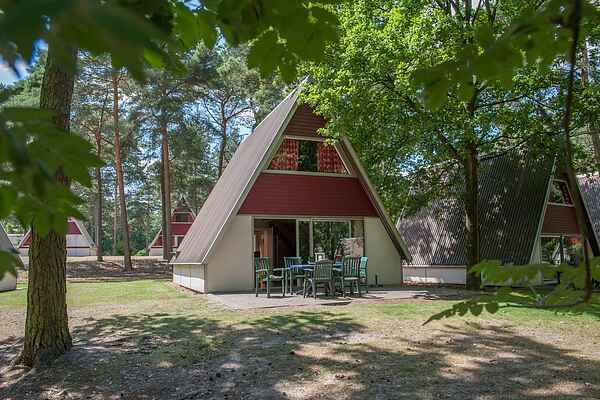 The park: Woodland park of Wolfsven is a large park, located in the dense woodlands surrounding Mierlo. The park is especially notable for it's copious presence of water and the lovely natural setting. Centrally located in the park is the lake and the fishing river. Accommodation: Detached bungalows with patio and garden furniture. An extra baby package (play pen, camping cot (excl. linens and duvet), child's high chair and child's bath) or a toddlers package (camping cot (excl. linens and duvet) and childs high chair) to rent, €22 per weekend/midweek/week, respectively, €10 per weekend/midweek/week. Pets only accepted on request (€4 per animal per day). End of stay cleaning charge is mandatory.